Conclusion? 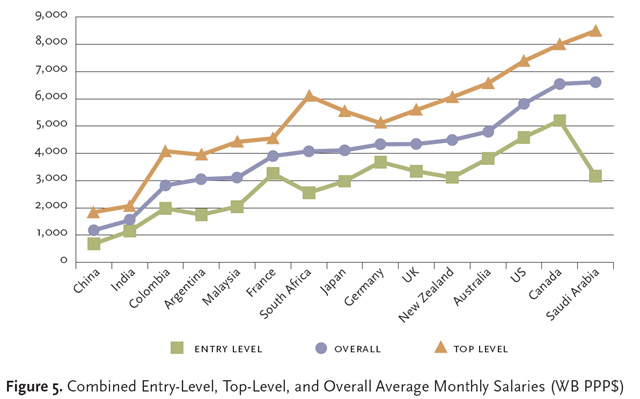 It pays of to work hard in order to get to the top, especially in South Africa, New Zealand and above all, Saudi Arabia. Not so in France and Germany (surprise?). 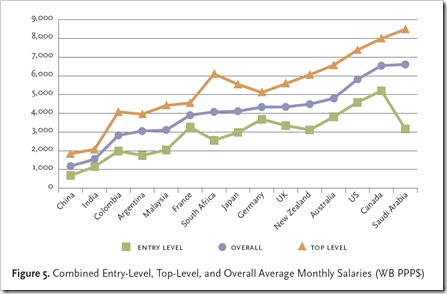 Furthermore, an advice for academics who aspire to have an international career and want to maximise their salaries: look for extreme weather conditions. They would be best of to start their career in Canada and end up in the global classrooms in the Saudi Arabian desserts.